3/4 inch headstall with swelled Browband, caveson, and cheek pieces adorned with graduating conchos of sterling silver. 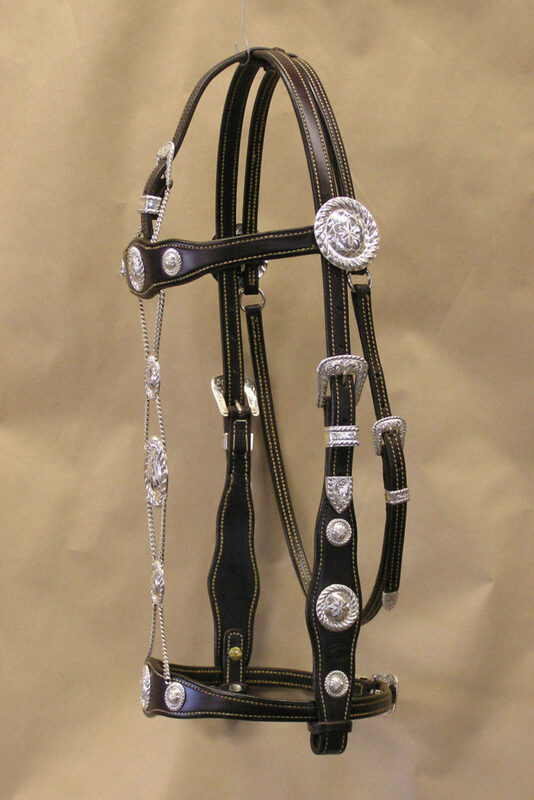 Headstall is of dark brown bridle leather. Caveson, cheek piece, face chain, and throat latch buckles are all three piece buckle sets of solid sterling. The face chains are of solid cast sterling links with matching three-piece conchos same as browband, cheeks, and caveson Conchos. Browband conchos are 1 3/4 inch sterling. All hardware is solid heavy gauge sterling silver. 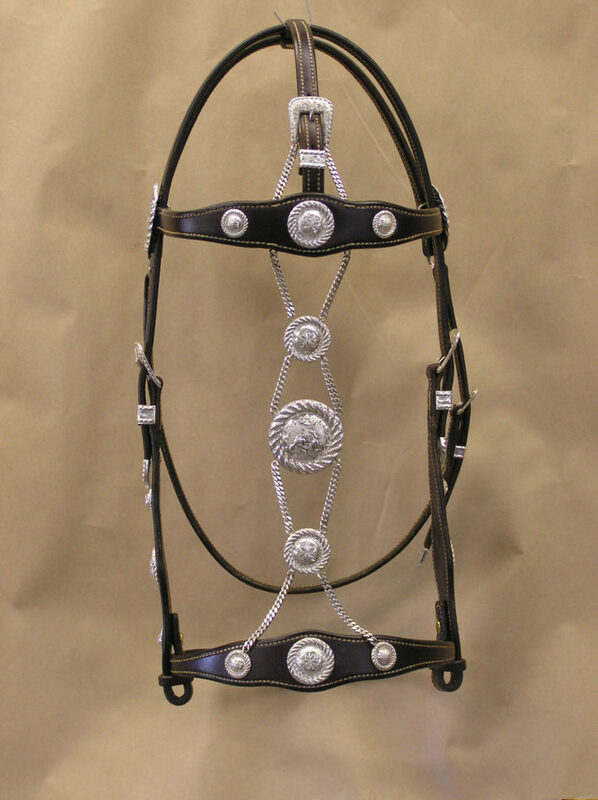 This headstall is truly a California classic piece.